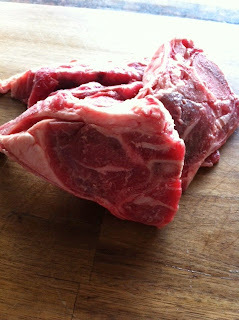 The man came home recently with "meat bones" for the dog. I didn't take much notice until I went to the fridge to give Maxy some food and realised that some of these so called "bones" were good enough to put on the BBQ and feed a large "human" family. When questioned about whether these bones were dog meat he said "no" he had bought them in the "human" meat cabinet of the supermarket! Some of these "bones" looked like steaks! They are labelled meat bones so I thought I would experiment with the next pack knowing that if they were inedible Maxy would enjoy them. They would probably take quite a bit of cooking so on a cold saturday afternoon I made a start to enable the stew to cook for a good few hours to soften the cheap meat. 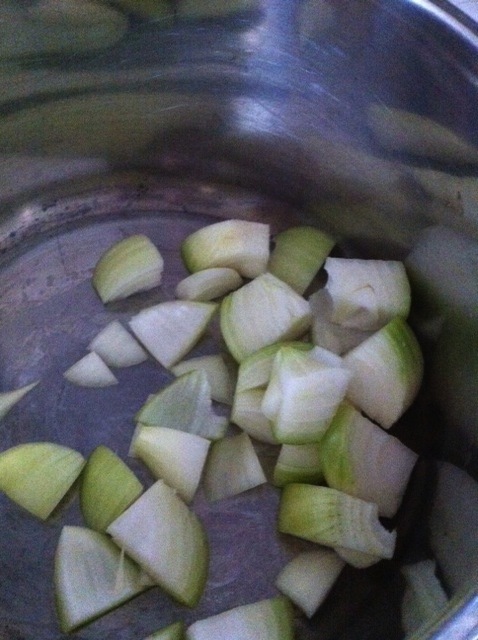 Heat oil in a large saucepan and add onion and cook over a high heat for 5 mins or until starting to brown. Add lamb and stir to coat lamb with onion and cook for 5 mins to brown the lamb. 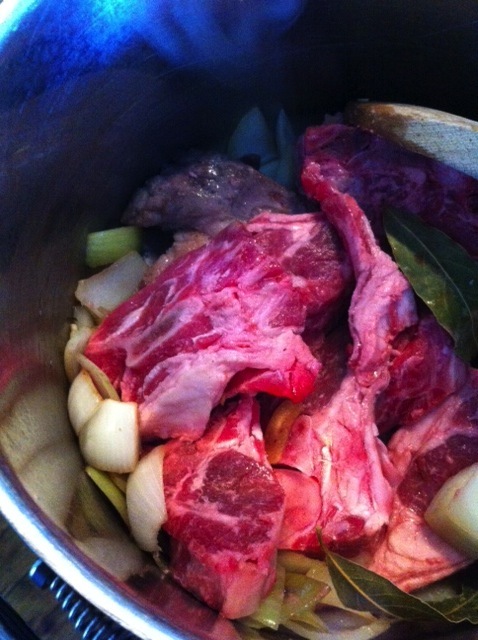 Bring to the boil, then reduce the heat to low and simmer for at least 2 hours or until the lamb falls off the bone. Tediously remove all the bones. Serve with rice or mashed potatoes sprinkled with parsley. 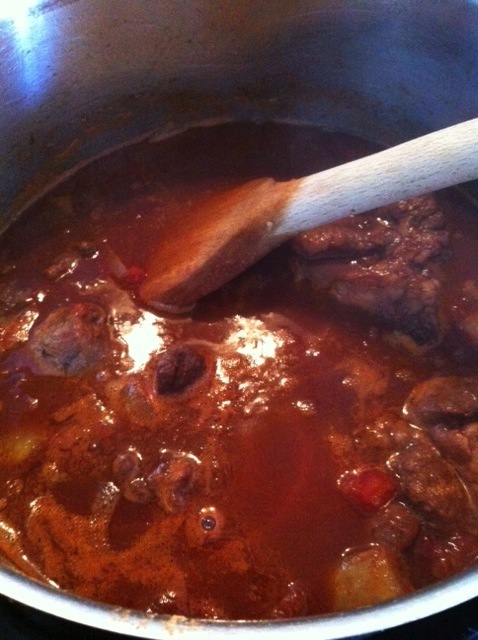 The kitchen smelt delicious and warm all afternoon, and the stew tasted sensational. 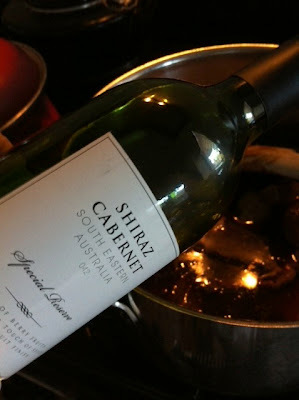 I will make this again - cheap cuts + cheap wine = lovely dinner. Thanks Dom, this was so yummy I was sad when the leftovers ran out - I do love this time of year when I can get right into "slow cooking"
THis is what I call real comfort food that we love to enjoy! Looks so good & mouthwatering! Many thanks Kit, it was certainly very warming. YUM. Will have to try...! This looks delicious and the spices sound lovely. 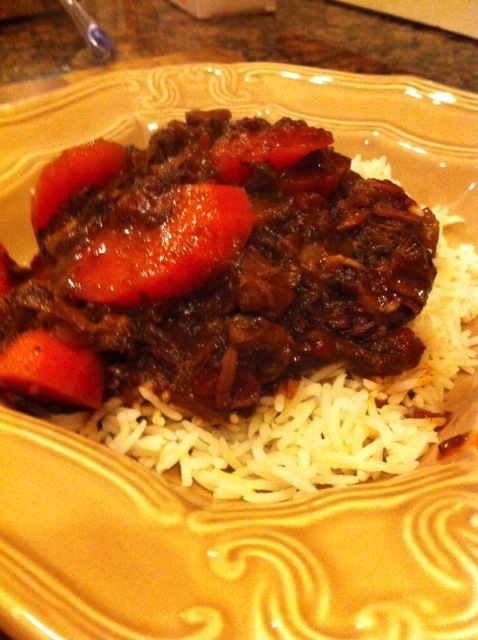 I don't eat red meat but I've been making a Persian lamb stew once a week recently for my husband who really loves it. It uses the cheapest meat on the bone but he swears it's the best for these kind of slow cooked casseroles. Come come share that Persian recipe. My mouth is watering as I look at the pictures! 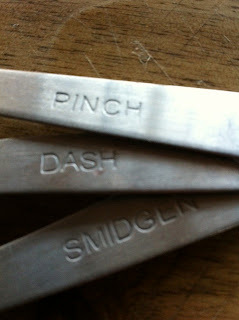 Thankfully the weather here has finally decided to warm up - so no long slow cooked stews for us - I'm pleased to say. I have made this a couple of times and we love it especially on the weekends when it has had more than a couple of hours to sit in the pot. 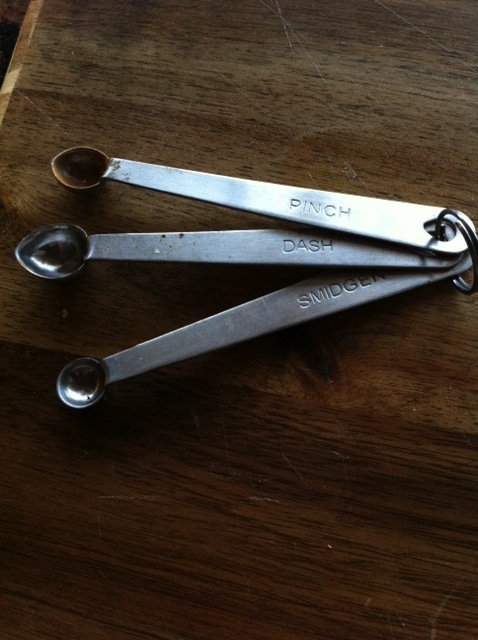 Love the measuring spoons but love it more that you rescued this perfectly good meat and turned it into something wonderful. 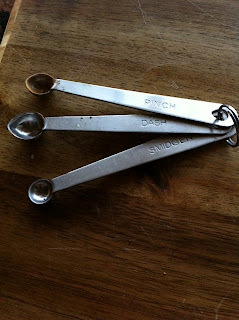 How cute are those spoons? The poor dog has missed out forever.